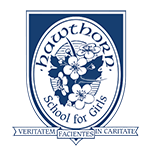 Thank you for your interest in Hawthorn School, an independent, accredited day school for girls Grade 1 to 12 and co-ed Day Care and Junior School. Our legacy spans almost 30 years of educating young women in character and academics through a committed partnership with parents. Hawthorn is a wonderful place for any child to be; a place where your child matters, truly belongs and flourishes. Our small-school and caring atmosphere creates an environment that our students flourish in. As part of the admission process, students take part in a written assessment, followed by a parent interview with the Admissions Committee. We take in consideration all aspects of a candidate’s potential for success at our school when making an admission decision.